Balut – a traditional Filipino dish – is a fertilised duck egg: as in, there’s a teeny chick inside the egg rather than the yolky goodness you might be expecting. You can choose the level of development – at the earliest stages it’s much like eating a boiled egg, but the later stages mean the beak and bones have formed. It’s considered a delicacy in the Philippines, Cambodia, Thailand, Vietnam, and Laos – though you might justifiably be more interested in the other spectacular national dishes of those countries. It is also remarkably good for you: the vitamin C and beta carotene boost your immune system, and they’re full of calcium and iron. 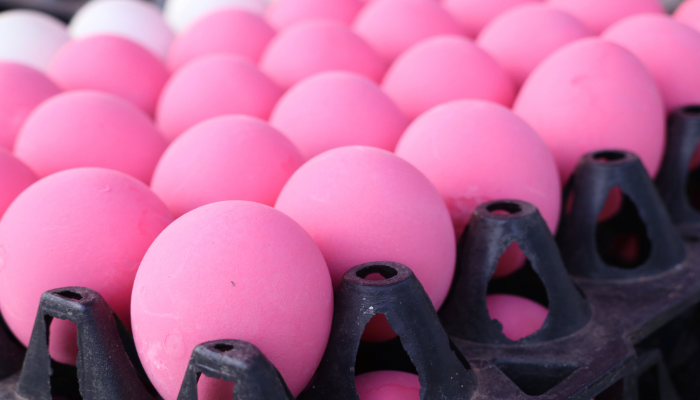 If you’re not up for crunching your way through that, opt instead for the pretty pink of the dyed salted eggs found all over the Philippines. Instagram-friendly and delicious! Fruit is great. Chocolate is great. Fruit that tastes like chocolate sounds amazing – and like it’s been genetically engineered in a future dream world. 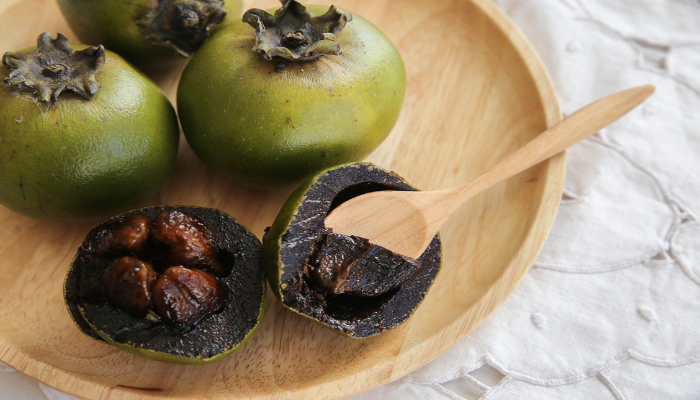 But no, the Mexican black sapote is all natural, and what’s more is pretty good for you! The high levels of potassium and vitamins C and A aid immunity and maintain the normal functioning of cells. It’s even good for your gut – the fruit factor means that you get a good dose of dietary fibre alongside your chocolate fix! Yeah, you read that right. Illegal to sell, this variation on Italy’s famous (and delicious!) pecorino cheese is one that we’re not sure we’d have the stomach to try. Apparently, the maggots turn the cheese creamy and – once you get over the fact that you’re eating maggots alongside it – it tastes pretty good. 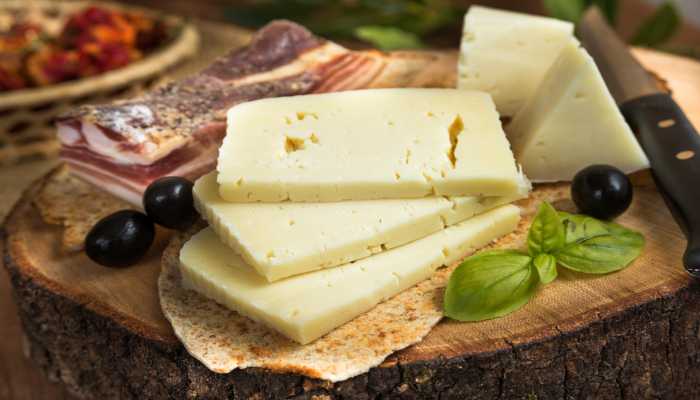 Best washed down with a glass of something strong – both to kill off any maggots waiting to infest your body and to get over the trauma of what you just did – the Sardinian cheese is notoriously hard to get hold of, so you probably won’t accidentally eat it when out! 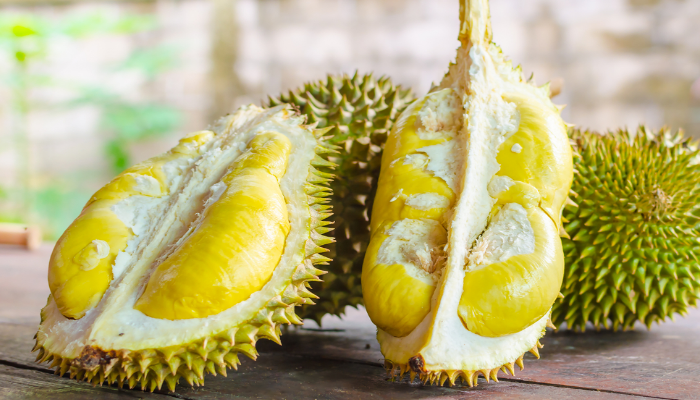 Moving on to something decidedly more palatable – although not for some – we come to the durian fruit. Native to Malaysia and Indonesia, the fruit has become so popular with both locals and visiting tourists that there are farms all over the place, including Sri Lanka and southern India. Visit any of the countries it’s available in, and you’re sure to find signs banning it from hotels, taxis, airports – and that’s because the smell is famously terrible. Get past the smell though, and you’ll find a creamy fruit inside – though you still have to be careful to get a perfectly ripe one. 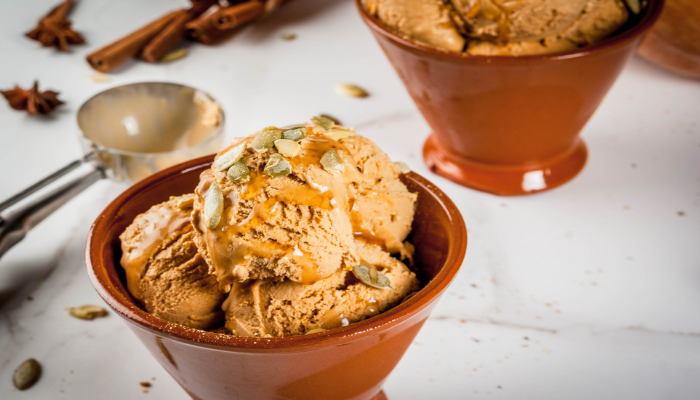 The taste varies depending on the fruit you get, but it’s incomparable to Western ideas of fruit – a mish-mash of sweet and savoury, sometimes tasting of caramelised onions and sometimes more reminiscent of puddings. If you’re willing to look past first impressions, this is a great one to try! So, how about some seafood? Surely you can’t go too far wrong… Oh. Old fermented shark, you say. Delicious. This Icelandic delicacy originated with the Vikings, who needed to find a way to rid their main food source of lethal toxins, and hasn’t changed much in the subsequent years. The shark is first beheaded, then put in a hole with stones and sand placed on top for six to 12 weeks, then hung up to dry for another few months. Even famously unfussy Anthony Bourdain said he’d never try it again – so not one for the faint of heart! 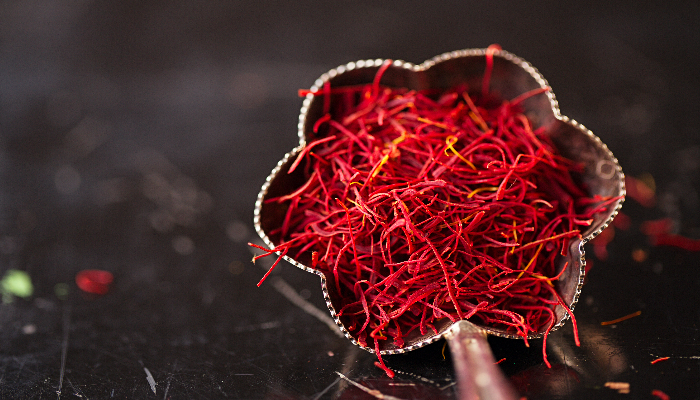 Famously more expensive per gram than gold, saffron can be bought in tiny quantities and is used in paellas, risottos, and many Middle Eastern dishes. The fiery red colour melts into a mellow yellow as it’s diluted, infusing dishes with an indescribable flavour. Made from the stigmas of crocuses, it’s so expensive both due to the labour-intensive harvest and the number of flowers needed to produce a small amount. Did you think we were done with seafood? Japan’s most deadly delicacy – the Japanese royals aren’t even allowed to eat it – is exceedingly popular, both with locals and visitors. 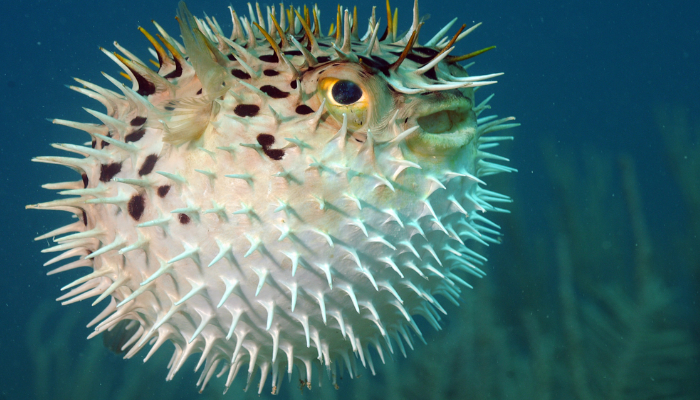 The taste is supposed to be quite subtle, unlike most of the items in this article, so what makes this fish truly weird is that the toxins in its organs are fatal to humans. Nowadays, it must be prepared by a licensed chef to try to prevent any incidents – would you bet your life on it? And you thought the Canadians were normal. So as not to waste all the edible parts of a moose, indigenous people came up with a way of boiling and setting the nose meat into a jelly. 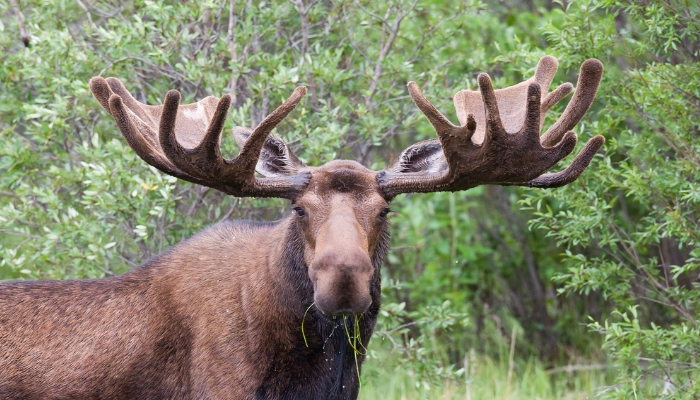 Though not available everywhere, jellied moose nose is still eaten occasionally, especially by hunters looking to use every edible body part, and is considered a delicacy. If that sounds a bit too slimy for your liking, you can get moose meat sausages, steaks, and even put it on pizza – apparently it tastes much like beef! 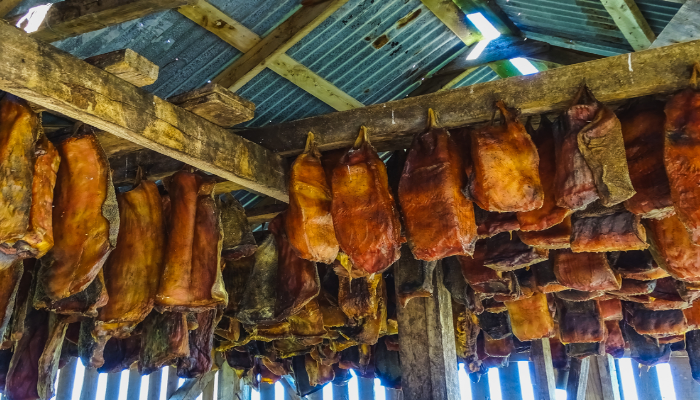 Another example of people making use of the whole animal, muktuk is a Greenlandic delicacy. It’s the frozen skin and blubber of a whale, and usually eaten raw, though it can occasionally be deep-fried. Usually made from bowhead whales, the dish can also be made from narwhals and belugas, and apparently has a kind of nutty taste. The skin is super chewy when raw, but the blubber melts away as you chew, hinting at a subtle briny taste whilst not being overtly fishy. The dish contains a large amount of vitamins C and D, making it great to sustain an Arctic lifestyle. 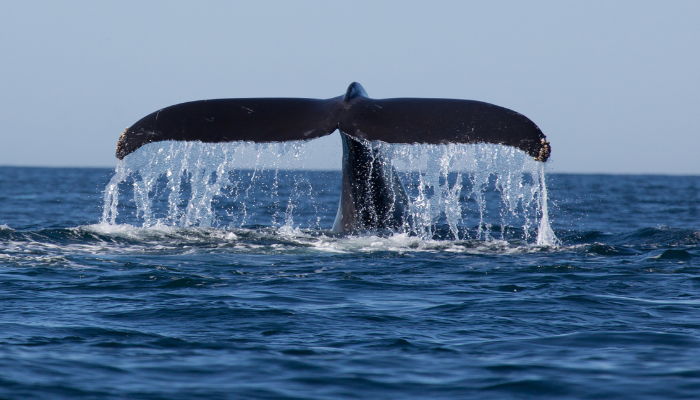 If you’re interested, the whale’s meat is also eaten, and tastes more like the mammals on land than the fish that whales share the sea with. Mushrooms can be used in a million different dishes: fried to go with a perfect English breakfast, or stirred through creamy pasta sauces, they’re beloved around the world. But would you ever think that you could put mushrooms in desserts? The candy cap mushroom, when dried, tastes rather like maple syrup, and has gained popularity in areas like San Francisco, where you can find it in cookies, ice creams, and crème brûlée. Sounds delicious!